Can I Compost Paper bags? | Can I Compost This? 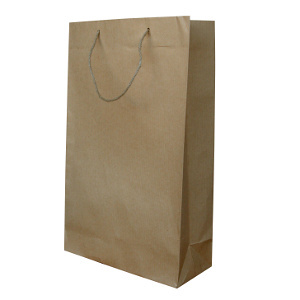 Can I Compost Paper bags? Yes, most paper bags can be composted. The thickness of the paper will determine how long it’ll take to compost down but it shouldn’t be long (especially if they get wet). If you’ve got a lot of greens in your bin (like fresh veg peelings or grass clippings), they will help soak up excess moisture and if scrunched up, will stop everything getting too dense so help with airflow. Do avoid composting them though if they’ve been heavily printed (as the inks can be toxic to your heap) or if they’re very glossy (in case that’s from a thin coat of plastic or metallic foil). It’s also best to leave them out if they’re heavily stained by something on the “don’t compost” list (for example, grease from food).